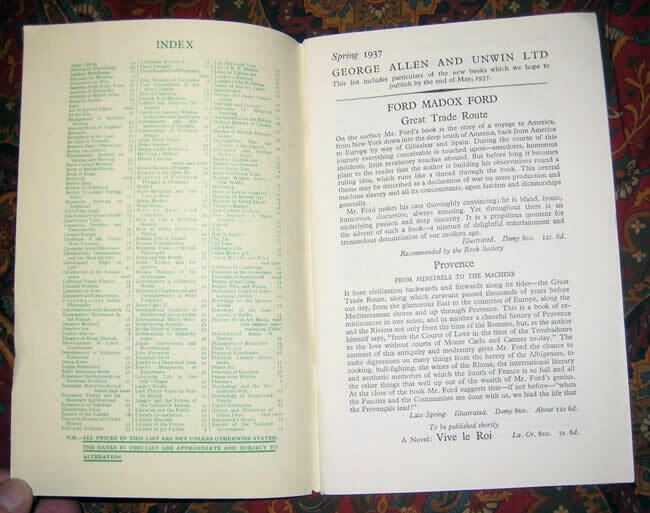 #000432 - Spring Announcements 1937, George Allen & Unwin Catalog Announcing Publication of the Hobbit - Very likely the first announcement in print of the forth-coming publication of The Hobbit. 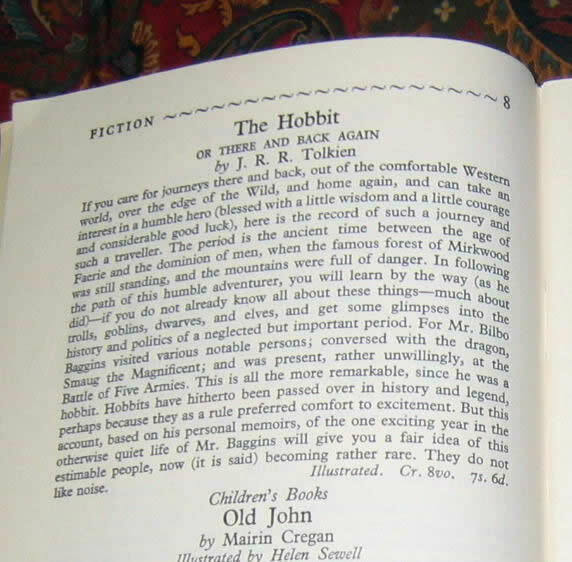 Very likely the first announcement in print of the forth-coming publication of The Hobbit. 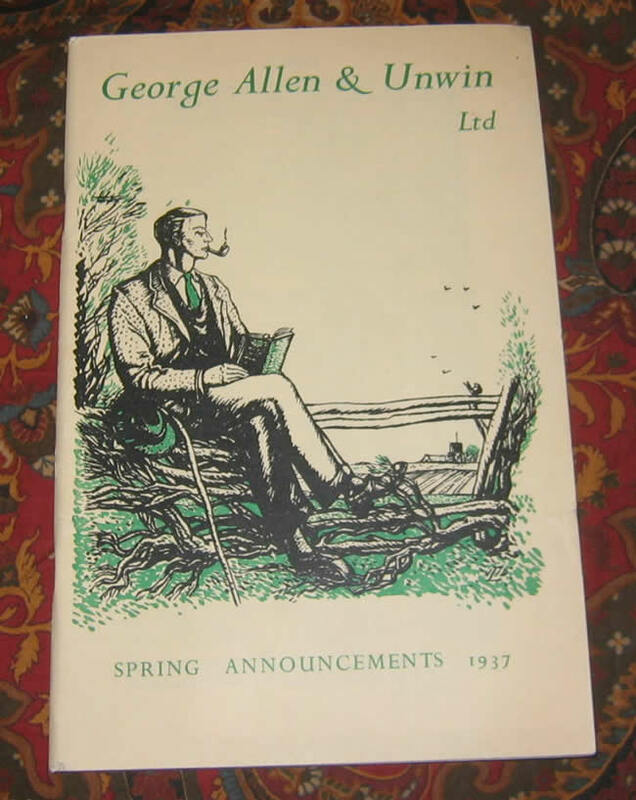 George Allen & Unwin Spring Announcements 1937. 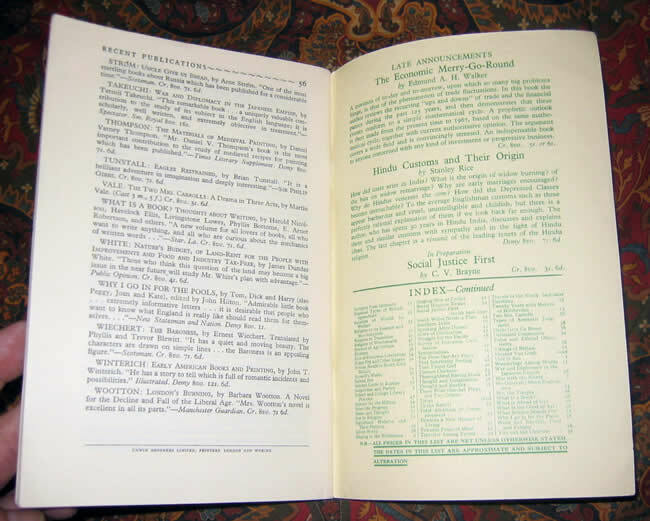 This catalog is notable for the inclusion of the forthcoming publication of The Hobbit - Or There and Back Again by J.R.R. Tolkien. 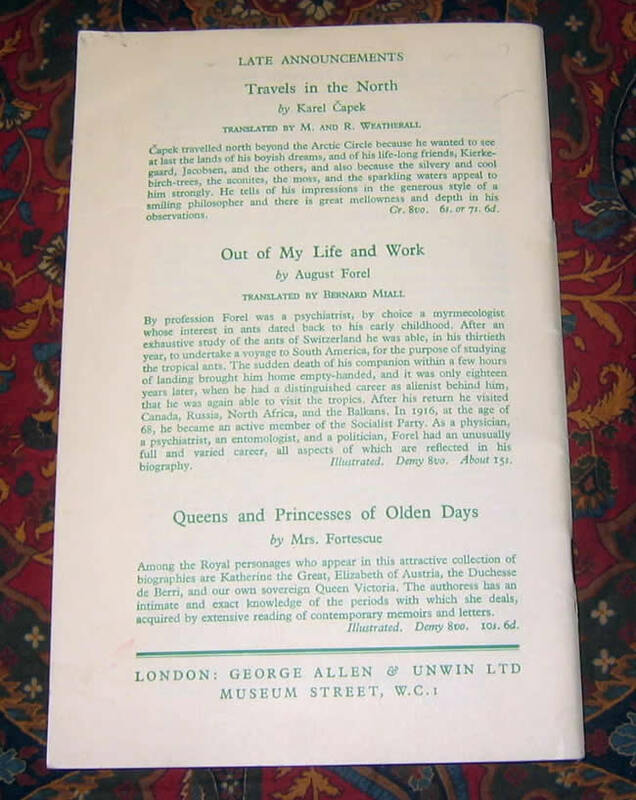 This list includes particulars of the new books which we hope to publish by the end of May, 1937. Light age toning or soiling to the text and covers. A closed edge tear to the front, approx 1/4", no loss. Overall Very Good Plus condition, complete, tight and unmarked.